Working in wet and oily conditions makes you more prone to dropping objects, particularly if your hands are greasy or wet. 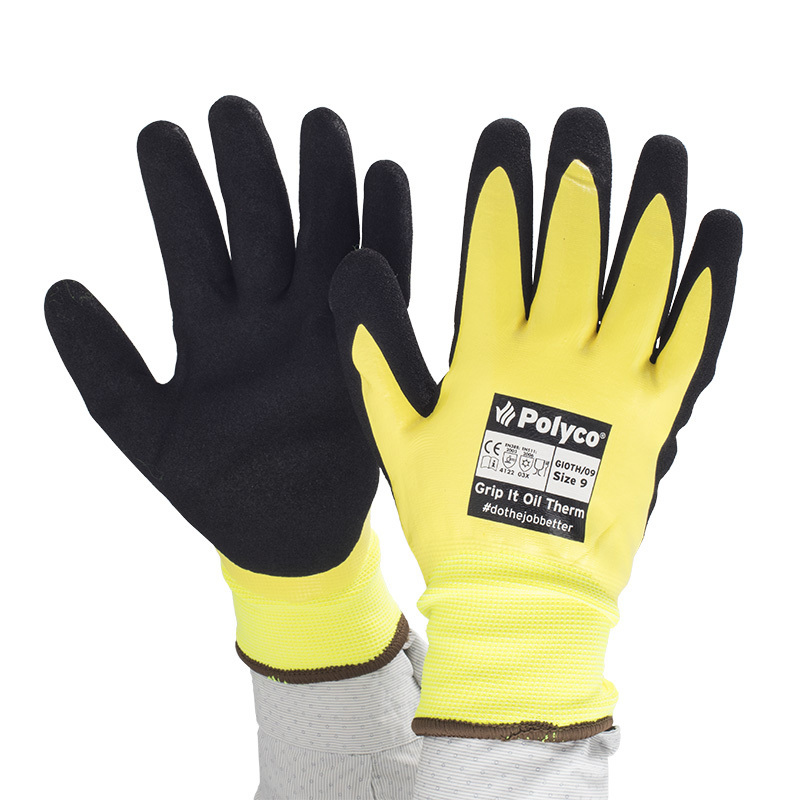 The Polyco Grip It Oil Therm Hi-Vis Waterproof GIOTH Gloves use two nitrile coatings, one of which is infused with microfoam bubbles. This improves your grip in tough conditions. 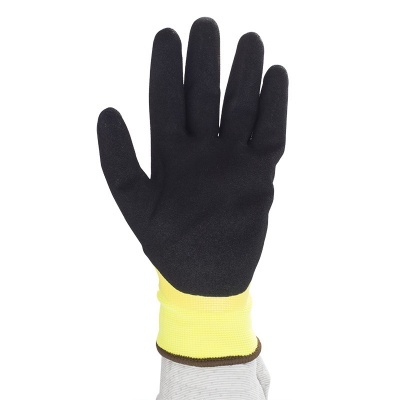 Lightweight and contoured in design, the Oil Therm Waterproof Gloves are highly flexible for fine handling tasks. The gloves also feature a thermal liner to improve your comfort levels in cold environments. 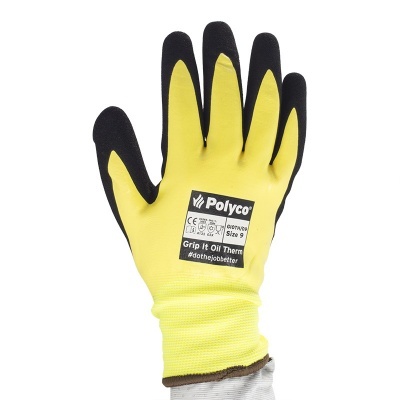 The Polyco Grip It Oil Therm Gloves are available in six sizes to fit most hands. Please measure the circumference of your hand around the knuckles (excluding your thumb) with your palm open and your fingers together. Next, measure the length of your hand from the tip of your middle finger to your wrist.